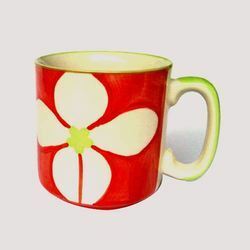 Offering you a complete choice of products which include Ceramic Hand Painted Mugs such as Ceramic Stoneware Promotional Mug, Hand Painted Promotional Mugs, Meridian Promotional Mug, Mug San Lauren, Mug Taper ( Hand Painted Mug), Bell Mug ( Hand Painted Mug ) and many more items. 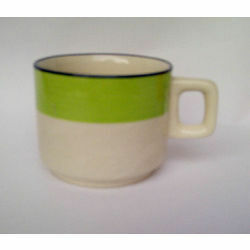 Our customers can avail an unparalleled range of Hand Painted Promotional Mugs from us. 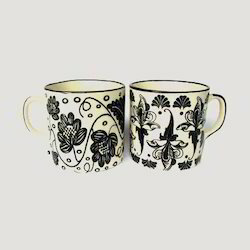 The offered range of hand painted promotional mugs is made utilizing high grade raw material and innovative techniques in strict compliance with the international quality norms and standards. 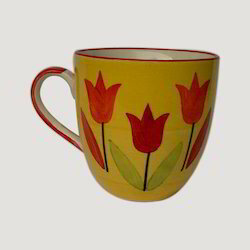 Along with this, the offered range of hand painted promotional mugs is ideally utilized for drinking various beverages for domestic and commercial use. 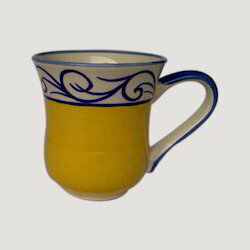 Quality Microwave safe / Dishwasher safe and cratch proof. 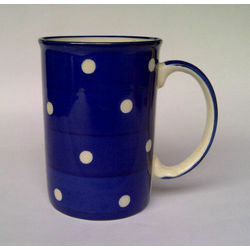 We are a prominent name, which is engaged in delivering in offering Meridian Promotional Mug. The offered range of meridian promotional mugs is developed utilizing high grade raw material and innovative technology in strict compliance with the international quality norms and standards. Along with this, the offered range of meridian promotional mugs is available in variegated designs, shapes and sizes in accordance with the diverse requirements of clients. In order to append and respond to the diverse requirements of esteemed clients, we are able to offer Ceramic Stoneware Promotional Mug. 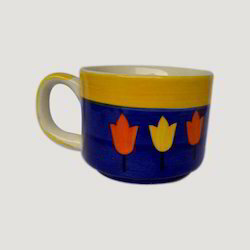 The offered range of ceramic stoneware promotional mugs is manufactured utilizing premium grade raw material and innovative technology that are handled by diligent personnel. 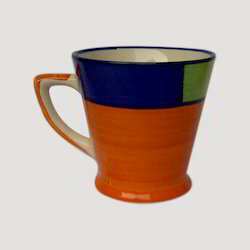 Along with this, the offered range of ceramic stoneware promotional mugs is known for its excellent designs, smooth finish and impressive look.